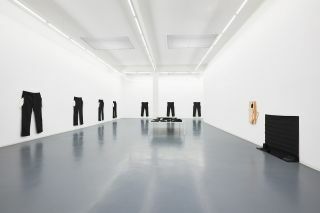 Invited by head of collections Vincent Honoré, Lydia Gifford’s commission for the David Roberts Art Foundation develops a curatorial dialogue begun in Grenoble, when she contributed to Honoré‘s 2011 show of ‘works in paint’, Tableaux, at Magasin. 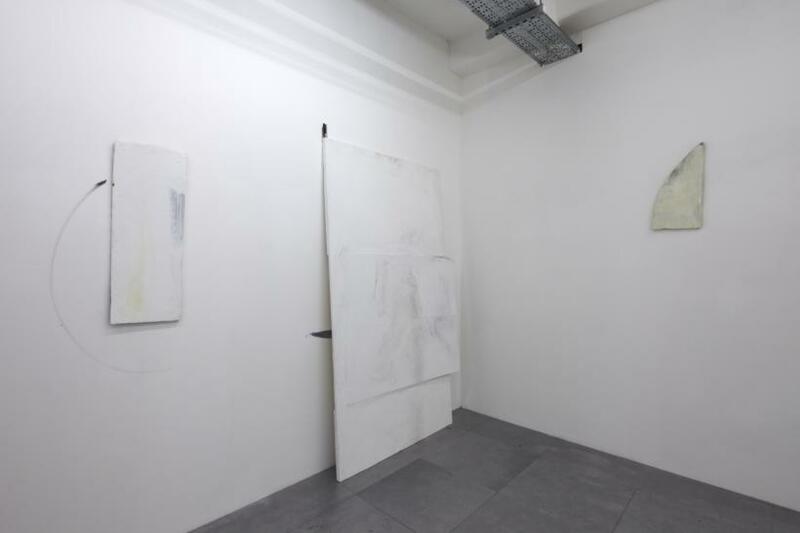 That exhibition posed loud and probing questions about the nature of painting, its prerogatives and support mediums, questions which develop subtly in this solo installation of large, quiet, mostly white paintings in a large, quiet, mostly white space. Midday is a still point at the heart of a buzzing and continuing conversation. The curators posed Gifford all the questions found in Henri Michaux’s Miserable Miracle, an account of the poet’s mostly unpleasant experiences with the drug mescaline, which ‘diminishes the imagination. It castrates, desensualizes the image’. Reproduced in the exhibition catalogue, they invoke startling imagery such as ‘the webs of spiders that have been induced to take the urine of schizophrenics’, imagery that is hard to reconcile with the meditative expanses of Gifford’s canvases. 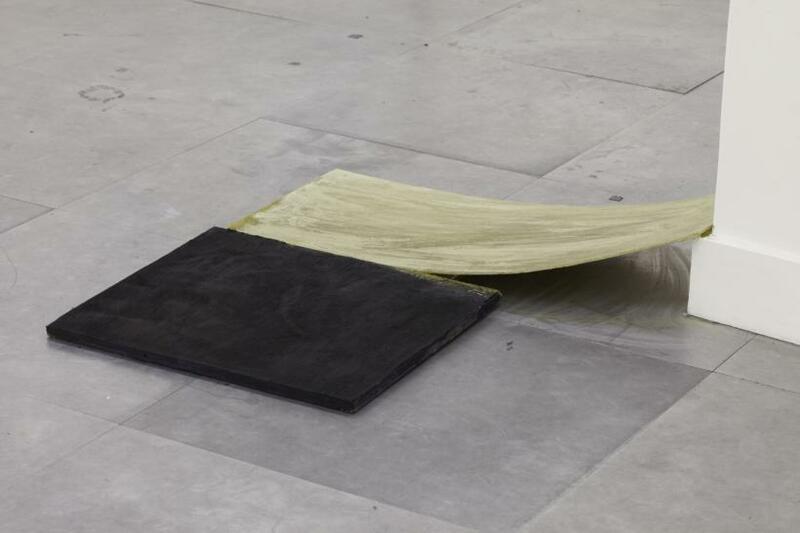 In addition, the artist has been in dialogue with improvisatory musicians John Coxon, Evan Parker and Toma Gouband, who will perform their response to the installation during a scheduled event at the gallery. 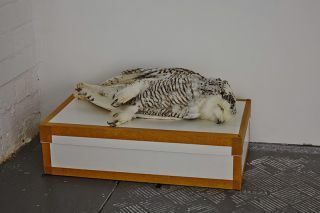 Unsurprisingly, given the hum of ideas and dialogue that surrounds the work, their scope is ambitious. 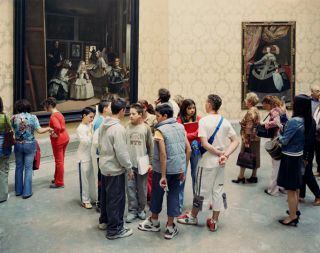 The ground floor of the gallery is populated by roughly carpentered canvases that approximately match Gifford’s reach in height and width. That is important, she says, so she can feel a personal connection with them despite their size. There is a tension between their monumental potential - they are after all very large - and the apparent refusal of the artist to allow them to become so. She maintains the ability to lift and manipulate them herself, just about, and they lean a little too casually and appear a little too fragile to be monuments. 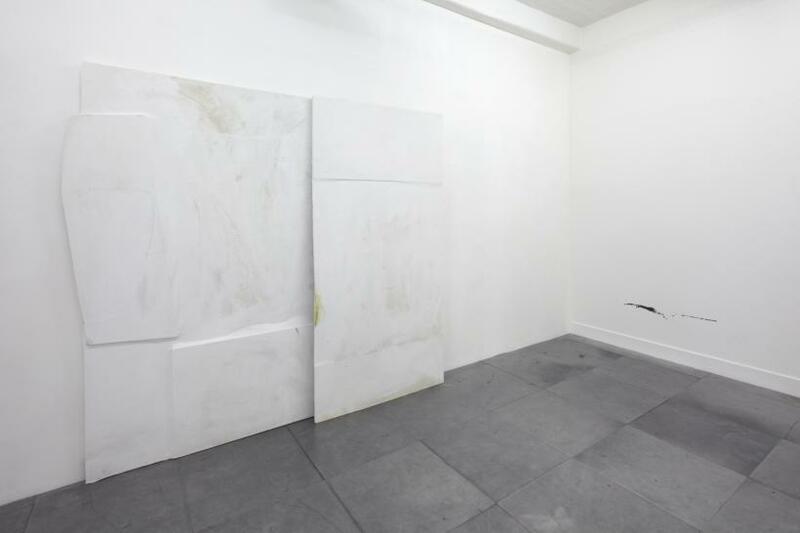 One piece is tenuously held together by daubed clay - Gifford hopes it will hold for the length of the exhibition, but appears both resigned and curious about the possibility that it won’t. The relative enormity of the paintings, especially in regard to Gifford’s previous work, is down, she suggests, to the need to cast the net as widely as she can, allowing as much as possible to take place within them. Anything that was there before, the lettering on old wooden signage or the curvature in a centuries-old floorboard from an old barn near her family home, is muted, painted over and over in order to neutralise the weight of any single signifier. These works are not windows. They invite the viewer to stay and sink into their broad, pale landscapes, but they do not allow themselves to be seen through. Depth is wrestled from pigment that has been layered and relayered, daubed and recoloured. 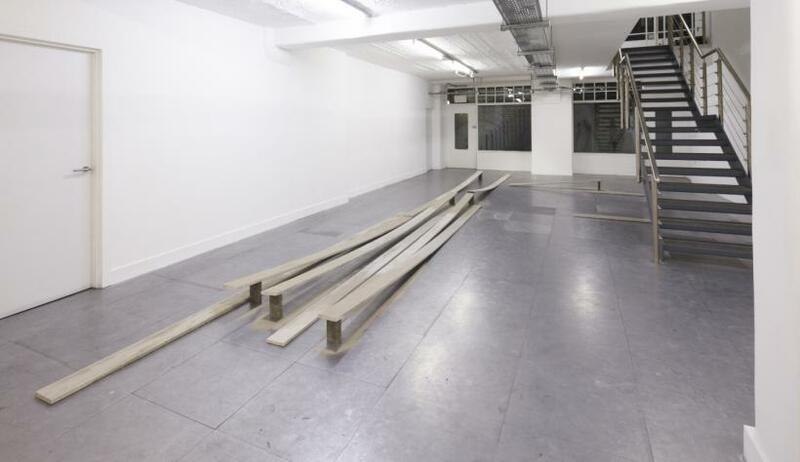 Pigment itself becomes the subject of the basement installation, in which old warped planks supported on home-made breezeblocks engender an anarchic desire to dance on them. They are covered in thick coating of fine ash, donated by friends from the sieved remains of many wood fires. The colour is indescribable, between violet and taupe, and shifts dramatically throughout the changing day. Midday reflects Gifford’s awareness of temporality, fragility, and shift, but also the possibility of standing, at least for an instant, still.